Editor's note: This article was originally published on 2 June, 2016. It is being updated in light of the fact that the apex court has agreed to hear a plea in connection with the 2002 Gujarat riots on January 2019. The Supreme Court on Monday (3 December) deferred till the third week of January the hearing on a plea filed by Zakia Jafri challenging the clean chit given by the Special Investigation Team (SIT) to then Gujarat chief minister Narendra Modi in connection with the 2002 Godhra riots. Zakia, the wife of Ehsan Jafri, an ex-MP who was killed in one of the worst incidents during the riots, has challenged the Gujarat High Court's 5 October, 2017 order rejecting her plea against the SIT's decision. On 5 October 2017, the Gujarat High Court had rejected Jafri's plea challenging a lower court order upholding SIT's clean chit to the then Chief Minister Modi and others on allegations of larger conspiracy in connection with the riots. The high court had, however, allowed Zakia to approach higher forums for further investigation in the case. In December 2013, the metropolitan magistrate's court in Ahmedabad had rejected Jafri's petition against the report, after which she moved the high court in 2014. A Special Sessions Court in Ahmedabad had in June 2016 had convicted 24 people and pronounced 36 others as innocent in the sensational Gulbarg Society massacre case in Gujarat in which 69 people, including former Congress MP Ehsan Jafri, were brutally killed in 2002 in Ahmedabad. According to NDTV, the judge had said that charges against the BJP corporator were inconclusive. Bipin Patel, a sitting BJP corporator from the Asarwa area, was charged with murder and rioting like the other 65 people who stood trial. 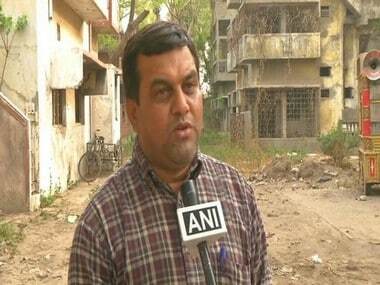 Patel, was the corporator in 2002 too and has won multiple elections since. On 28 February — a day after a coach of Sabarmati Express was burnt near Godhra railway station, killing 58 people — 250 people, most of them upper class Muslims, took refuge in the house of former Congress MP Ehsaan Jafri in Gulbarg Society, Chamanpura (a hindu-dominated area), Ahmedabad, expecting his political status to shield them from the impending doom. The Hindu mob in the following hours ravaged the society, leaving at least 65 dead, including Jafri, who according to a Human Rights Watch report was hacked and burned to death. The report further pointed out that no help was sent by the closest police station, which was less than a kilometer away from the society. Jafri had also made numerous calls to the police, the Chief Minister and the central home minister, asking for protection, but the mob remain unconstrained for more than six hours. Among the perpetrators, were several VHP and Bajrang Dal officials and party workers who were identified. The names of the main accused failed to appear in the chargesheet filed in the Gulbarg riots case. The victims of the massacre have argued that the incident was pre-planned in order to target minority members living in the society. However, the defence, in its reply, stated that the mob turned violent only after Jafri had fired several rounds on them. The government had initially appointed assistant commissioner of police PN Barot, an officer with strong VHP connections, to investigate the incident. The case was later transferred to someone else. The media too questioned the credibility of the reports filed in the case. 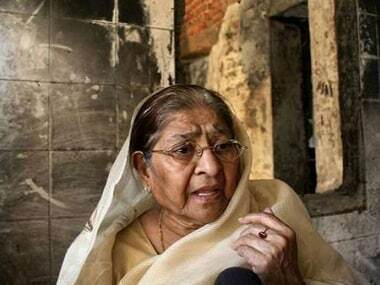 Zakia Jafri, wife of Ehsan, on 8 June 2006 filed a complaint, alleging that the police had not registered FIRs against the then Chief Minister Narendra Modi as well as the 62 other perpetrators, including several ministers and top officials of the state administration. In 2007, the Gujarat High Court refused to entertain her plea. According to this Hindustan Times report, in 2008 the Supreme Court ordered the Narendra Modi government to re-investigate nine cases in the 2002 Gujarat riots, one of which was the Gulbarg Society massacre. The court constituted a Special Investigation Team (SIT) headed by former CBI director RK Raghavan to look into the matter. 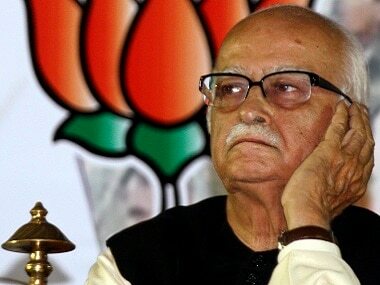 In March 2009, the Supreme Court asked the SIT to look into Zakia's complaint regarding the involvement of Narendra Modi and other party officials from VHP and Bajrang Dal. In March 2010, Modi was summoned by the SIT and was questioned extensively and in May, the SIT presented a report to the apex court saying that there was not enough evidence to prosecute Narendra Modi. Raju Ramchandran, a senior advocate, who had been appointed by the Supreme Court to investigate the allegations made against Modi, raised doubts against the SIT ruling, and submitted a report and claimed to have enough available evidence to prosecute the then Chief Minister Narendra Modi. When in 2011 the Supreme Court denied access and kept the report confidential, Zakia Jafri and social activist Teesta Setalvad, who had been fighting for victims of the Gulbarg massacre and was fighting cases for them, filed another petition seeking access to the report. In 2013, Zakia filed another petition, challenging SIT's clean chit to Modi, alleging that SIT had “covered up the crimes and misled the court”, as reported by Hindustan Times. "As part of the conspiracy to allow anti-minority riots, the administration and the police were deliberately paralysed and neutralised by the conspiracy hatched by Modi and others." said Zakia. In December 2013, order was delivered on Zakia Jafri's petition, and no case was made against Modi. Though the court rejected Zakia's plea, the blot of the 2002 riots was speculated to remain with Modi, as mentioned in a Firstpost opinion piece. "For Modi's die hard opponents no clean chit will be clean enough". In December 2013, reacting to an Ahmedabad trial court verdict, RK Raghavan, head of the SIT appointed by the Supreme Court to go into Gujarat riots, said SIT’s stand has been vindicated. A year later in November 2014, the trial in the Gulbarg Society case, resumed following the Supreme Court’s directions to conclude it in three months. The Supreme Court had then asked the sessions court to complete the trial in the Gulbarg case, one of the nine cases connected to the 2002 post-Godhra riots, in three months. In 2015, the Supreme Court granted a three month extension to Ahmedabad court to complete trial proceedings as reported by The Hindu. Post Godhra riots, Chief Minister Narendra Modi and his government came under fire, for exhibiting the kind of indifference they did, in handling of the widespread massacre. 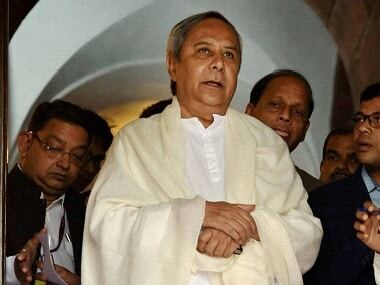 While some termed it his nonchalance, others who were directly affected by the riots like Zakia Jafri, vehemently accused Modi of having conspired in instigating Hindus. 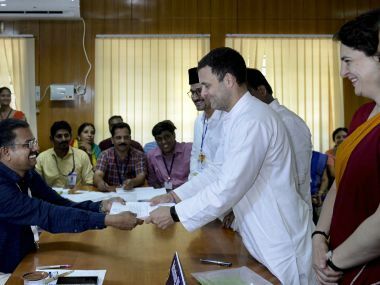 The clean chit handed to Modi by the SIT was lauded by his supporters, with Arun Jaitley claiming that certain facts were "concocted" to frame politicians in the case and that the probe by the SIT was a professional and independent investigation. Others, like the social activist Teesta Setalvad, had opposed SIT's ruling claiming that there was "strong" evidence against the then CM Modi. When Teesta pledged to continue her fight, what she was subjected to after, was termed as "nothing but harassment by the BJP" by the opposition parties, as reported by Indian Express. Teesta and her husband were alleged to have transferred Rs 14.2 lakhs from the NGO's account to clear their credit card bills. Teesta had clarified that credit card expenses that the NGO paid for were not personal, but official such as travel. The police case was based on a complaint by 12 members of the Gulbarg Housing Society, which curiously refused to take note of the submission by the secretary and chairman of the Society that the case was false, as reported by Firstpost. A year later, the police came up with the embezzlement case, despite the official representatives of the Gulbarg Society affirming that they had no complaint, and wanted to arrest Setalvad. The continued pursuance of Teesta's arrest despite lack of evidence raised quite a few eyebrows. This further snowballed into another controversy with opposition leaders openly calling out Gujrat government's tactics to silence all dissent. The Gujarat government sought a probe into the role of Teesta Setalvad's NGO alleging that it misused funds received from Ford Foundation to create 'communal disharmony'. "We learnt that the funds which they received, especially from the (US-based) Ford Foundation, were actually used for disturbing the communal harmony and carrying out anti-national propaganda against India in foreign countries," Gujarat minister of state for home Rajnikant Patel told PTI. "We have written a letter to Union Home Minister Rajnath Singh seeking probe into the role of Setalvad's NGO (Sabrang Trust) after we found out funds given to the NGO were misused." Another controversy that followed was when Senior IPS officer Sanijv Bhatt involved in the case, said that after he was summoned by the Supreme Court appointed SIT, the former Minister Of State for Gujarat, Amit Shah had advised him not to reveal the truth before them. Bhatt had also alleged that the Gujarat chief minister even after having been informed of the impending threat to the Gulbarg society, had refrained from issuing any direction, as reported by IndiaToday.